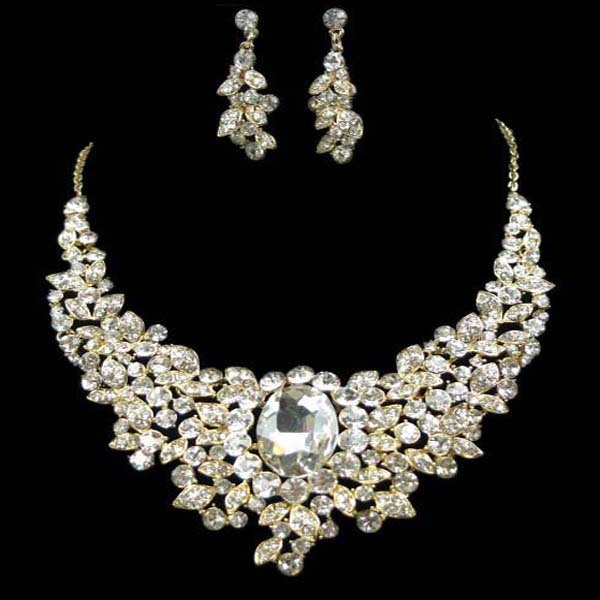 This sparkling crystal necklace set will be a perfect accessory for a christmas party. The shiny earrings have large drop design and a clip-on back fastening. Gold-toned metal casing. Buy this 'must have' piece of fashion jewellery online today at lowest price guaranteed.